I often think, I NEED to be blogging more. 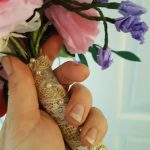 But – the point of a blog (for this crafty lass anyway) is to support and share what I am up to for the business. 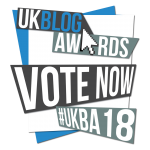 And, if I am doing too many business related exciting things to have time to dedicate to it, surely a bit of quietness on the blogging front is ok! January, so far – from a business perspective has been EPIC. Sleep, from a toddler perspective, hasn’t – but those awake in the small hours is plenty of brain time to get thinking about the next idea and challenge and it looks like the future is certainly going to bring many, many of those… My brain is buzzing! As ‘a creative’, I got told when I was younger – by a ‘memorable’ career “advisor” (! – I would highly recommend to him now that if he is still doing this, that he should change jobs, and I hope for many other young’uns that he did just that) that as a career – “you either do ‘Art’ or ‘Numbers’. (NEVER Both. )” I will refer to ‘him’ forthwith as “Mr Never Both Man”… I ignored him. But, it did also resonate with me. What if he was right? – Could you do both successfully? This new – and clearly better than said previous – Career Advisor said, “You are showing to have both a ‘Logical’, and ‘Creative’ aspect to your brain. 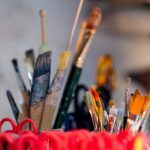 I would advise that you go into a career that combines both – so you are able to stimulate your passion for creativity – yet challenge your analytical and structured side to not become bored.” (Or basically, to translate… Art AND Numbers). Bingo! And actually ‘Buying’ was a great match. But he also said – “Perhaps in years to come you could look into running your own creative business? 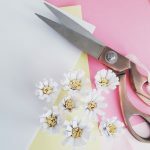 That would certainly fit with the results.” At that moment, I laughed – ‘no way could I run my own business’ – but I did think maybe he WAS right and perhaps it would be something for the future. Who knew he was very right indeed. 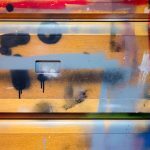 I DID go into Buying – and yes, I worked with both ‘Art’ and ‘Numbers’ – it could actually be a successful and fulfilling combination! So, Mr Never Both Man – and here is me now, in my life full of creativity and ‘Art’. But certainly lots and lots of Numbers: Accountancy meetings, Solicitor meetings, Buying meetings, Forecasting meetings, Sales meetings, Projections, Planning and lots of Excel spreadsheets… essentially about ‘Art’! THREE, National magazine interviews lined up…. P.S. THREE??? NINE, more sessions of our weekly Sketchbook Creativity Class to come for this term, a first for The Crafty Lass to be running artistic workshops of this kind. 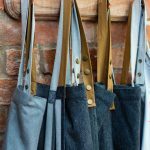 ELEVEN more workshops in the diary at The Crafty Lass Old Grain Store across the next few months …with more to certainly come! And refers to the Intellectual Property Office. It is a UK Trademark Number. Yes, The Crafty Lass – sorry, that should be “The Crafty Lass®” – is now a Registered Trademark across six different classes. It has taken 7 months, multiple hours of correspondence and lengthy phonecalls. And now, it is done. I’ve even got a certificate. Tuesday evenings: 19.15 – 21.15 The Crafty Lass – Sketchbook Creativity Class including ‘Bind Your Own Sketchbook’. Meet like-minded people and turn everyday items into extraordinary subjects of pattern, light and colour – looking at things in a new way… Then bind your own sketchbook! Each class there will be a new surprise subject – for example such as ‘Afternoon Tea’, ‘Water’, ‘The Sewing Box’ or ‘Metals’ – and a themed display for which to draw inspiration from. We will focus on a specific medium each week such as paints, charcoal, inks and even ‘ordinary’ biros and highlighters, papers and fabrics for collage – but everything will always be available for you should you decide this style isn’t for you or you want to incorporate something new! Perhaps you’d like to add in a splash of colour, or purely draw in pencil. The papers we will be working on are from ‘Homeward Bound Books’ – they will be A5 in size and include various boards including handmade Indian paper, coloured, cream, different textured and kraft brown paper to further explore what works best as a base for each theme and medium. One of the most exciting aspects to this course – is each A5 piece of paper will have holes pre-added for binding – and the final week of this course will be a chance to reflect – looking back at our drawings, deciding in which order you would like them to go – and most crafty, learning how to bind them together into a beautiful sketchbook to treasure as a keepsake of the classes. There will be spare paper to additionally add in to the book and continue the inspiration on post The Crafty Lass Creativity term. There will be no ‘right’ or ‘wrong’ way to represent the items on display – a chance to get expressive and creative! You can focus on one precise drawing for the 2 hour session, or perhaps make 10 expressive doodles – you can draw one item from the display, or everything in it and more – you can do whatever you like! 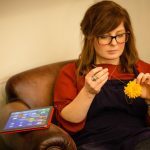 If lacking for ideas and inspiration – The Crafty Lass will guide you through with hints and tips to produce some exciting and interesting artwork. Feel free to move around the studio – or swap seats with another person to gain a new perspective or different angle. There will be a chance to take photos of the display each week should you wish to continue your inspiration and drawing beyond the class. Please note this is a 10 week course. £135.00, only £13.50 per two hour session! If you are unexpectedly unable to attend one of the weekly sessions after booking the 10 week course – we will happily refund you the £13.50 weekly charge up to a maximum of 2 out of the 10 sessions. 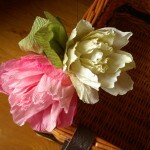 Or, you can choose to allocate the credit to another The Crafty Lass workshop. If for whatever reason we are not at full capacity (maximum 8 to a class) – and you would like to join us for a one off session – this would be £15.00 per week of attendance – however, please note this cannot be guaranteed and will not include the binding of the sketchbook class. We would advise booking the full term to gain the most out of the creative experience. Please get in touch if you would like to attend as a one off booking and we can advise if there is any space available. Tickets can be purchased online via PayPal only. Workshop ticket bookings are subject to our T&Cs. *Please advise if you have any dietary requirements and we will do our best to accommodate. TO BOOK TICKETS – please CLICK HERE! ✂️ Do you know someone crafty? ✂️ Would they like to come along to a The Crafty Lass workshop? ✂️ Do you still need to buy a Christmas present…? 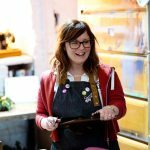 The Crafty Lass now sells gift vouchers! What a good idea for a crafty Christmas present? 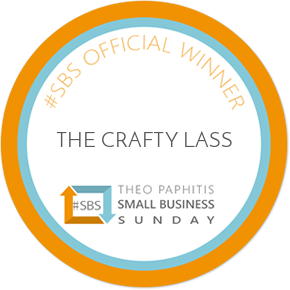 Vouchers can be bought in denominations of £5.00 and can be used against any of The Crafty Lass workshops*. Vouchers will be personalised for the recipient – you can even include a little message! A PDF copy will be sent to you via email after purchase for you to print or send on to your crafty loved one and they will be valid for 1 year from purchase. 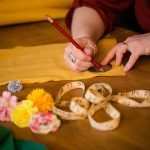 The 2018 The Crafty Lass workshop calendar is going to start being released VERY soon for our workshops held here in The Old Grain Store workshop studio in Lower Boddington, Northamptonshire… but will be initially including: Valentine’s, Mothers Day and Easter events, Paper Flowers including Paper Roses, Peonies, Origami, Decoupage, Sewing Fabric Flower Corsages, Basic Introduction to Needle Felting, Spring Wreaths to name just a few of the exciting workshops on offer… with LOTS more to come. The crafty recipient(s) would need to contact The Crafty Lass directly for redemption prior to ticket purchase of a workshop booking with their unique crafty code. Please get in touch to purchase your gift voucher now! *Excluding 3rd party, external branded events. Today is the start of #TheCraftyLassADVENTure and we would love you to join in too! Over on The Crafty Lass Facebook page: I am sharing exciting things to make and do for Christmas! 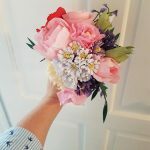 Across on The Crafty Lass Instagram page – I will be sharing what inspires me with a new photo everyday. Tags: Advent, Advent Calendar, Business, Calendar, Christmas, Craft, Create, Creative, Facebook, Ideas, Inspiration, Inspire, Instagram, Make, Make. Create. Inspire. 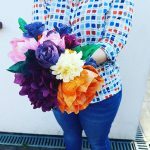 The Crafty Lass is going to be teaching craft workshops at The Kirstie Allsopp’s Handmade Fair next year! 11th-13th May 2018, Ragley Hall, Warwickshire. Get it booked in the diary NOW! Full details and further information to follow in the coming weeks and months – but (as you may be able to gather) we are pretty excited! A piece of furniture with a flat top and one or more legs, providing a level surface for eating, writing, or working at. Except, it’s not that simple is it – a table, in a house context – for me anyway, is the heart of the home. Our dining table, for instance – we bought it BEFORE we bought our first house. We were lucky in that the shop were able to store it for an indefinite timeline and deliver once we moved in! However, we were then only viewing houses based on whether the table would fit! Tables are where news is shared, you work on them – studying for a lifelong dream, sit and chat round them, play games, where our little one will eventually draw pictures and do homework, where I cut fabric! That table is where I shared the news to The Husband that we were finally expecting a baby. It is where we then told grandparents-to-be that I was carrying their grandchild. It was full of cakes and games and generous gifts for our Baby Shower. It’s hosted dinner parties, Christmas, my 30th birthday where The Husband cooked me a particularly amazing 3 course meal! But also, the general day to day chitter chatter – daily meals and chats and debriefs and winding down of the day. So many memories around what is essentially ‘just’ a piece of furniture! So, it was particularly important for me with the new craft workshops space, to make sure the main table would be just right. I looked at many, MANY tables – at the usual John Lewis, IKEA, various online places – until I found RCC furniture that could actually make me whatever I wanted! I obviously needed to ensure practically it could fit around 8 people, with extra generous room for crafting space. I also wanted an industrial style look to fit with the rest of the workspace styling. RCC was perfect – reclaimed wood, steel frames and legs – and really helpful and responsive to messages, and with a large gallery for inspiration it was easy to send them links to existing commissions to advise exactly the look I wanted. I ended up ordering the main table, a desk and another worktop for additional potential crafting space in the room! In went the order, and knowing it was being made bespoke, just for me – I knew there would be quite a wait… My very first enquiry to them was sent on 2nd June… and delivery yesterday on 1st September! However, it was totally worth the wait! The delivery man must have thought I was a nutcase (knew?) – jumping up and down, squealing and generally being impatient and trying to get into his van to have a closer look!! Eventually, we got the table(s) out, and I did actually cry. I explained to him that he wasn’t just delivering furniture, but a small part of my dream to reality. I told him what I am doing and aiming to teach – and he politely seemed to love the ideas. He even stayed to wax the tables and buff them out to show off the grain for me. Great! 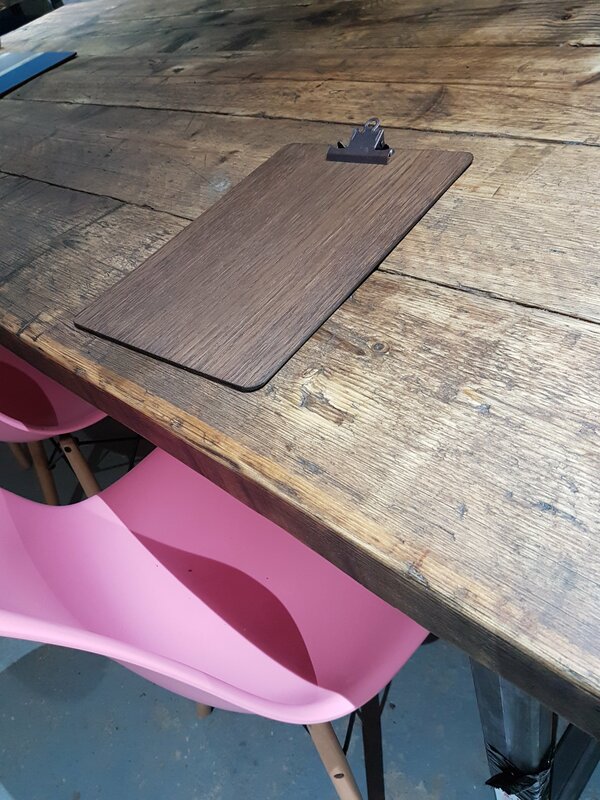 When the van pulled away, and I was stood admiring the beautiful, BEAUTIFUL, tables – suddenly, it wasn’t a garage, a storeroom, an unloved ignored room – it is a workspace, a room ready to make new memories. Just imagine what amazing things people will achieve around that table, the things they will make, the many cups of tea that will be drunk! We even sat and had dinner in there last night! I mean, why not?! It was great to just sit around and imagine. We planned some more details of how everything will be laid out and with a few more things to be ordered, delivered and installed – but we are not far off it being ready! 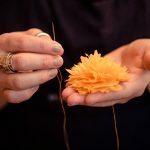 The website is being updated to allow for workshops to be advertised, and tickets to be sold – and then, I can finally and very excitedly – press the button and the craft workshops will be a go go.